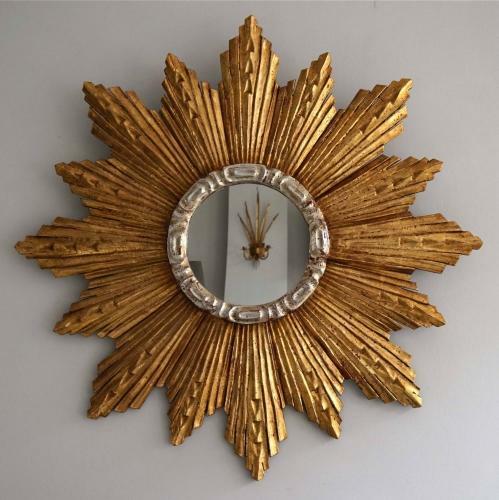 This is an exceptional, grand scale carved wood and gilded sunburst mirror spanning over 3 feet in diameter. The gilding is original to the piece and has a beautiful time worn faded patina. This incredible mirror would make a statement in any room! Mid century mirrors of this size and quality are extremely rare. Circa 1950.